There are chicken stews and there are CHICKEN stews. 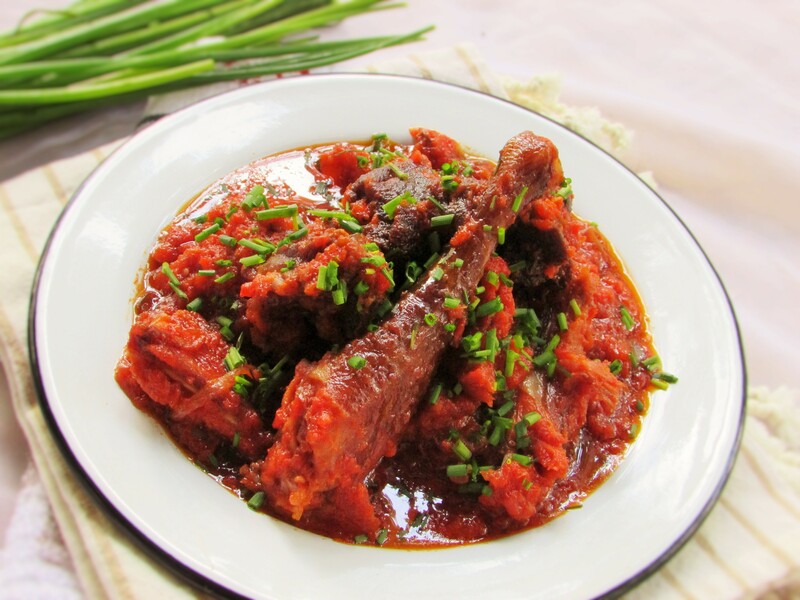 I can comfortably say this smoked chicken stew is the Matriarch of all stews. 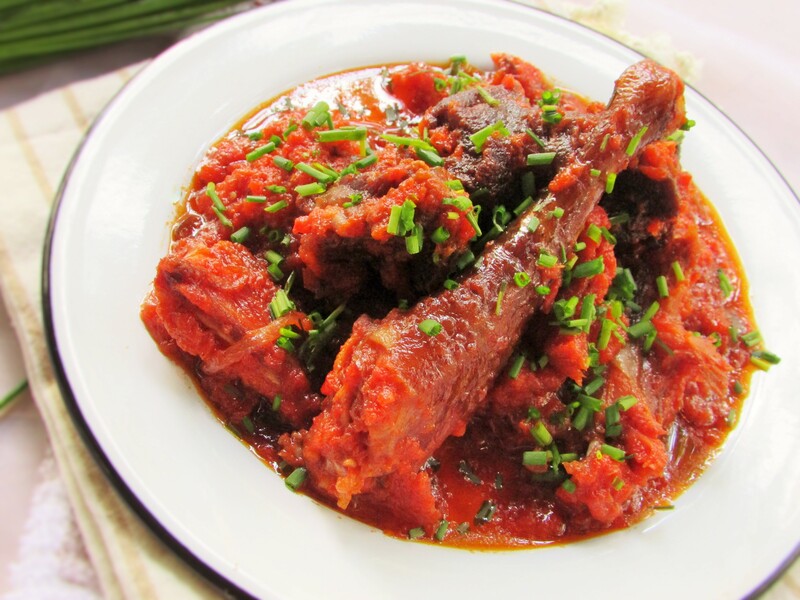 It seems like just chicken, but do not be deceived because this stew packs a punch. I like smoked chicken as I can use it for anything from chopping it for fried rice, to making pepper soup. Unlike smoked turkey, it is not at all salty. I actually soak it in warm water and use it to drink garri. I have also done a smoked chicken suya and man was it good! I cannot even tell you how delicious it is. 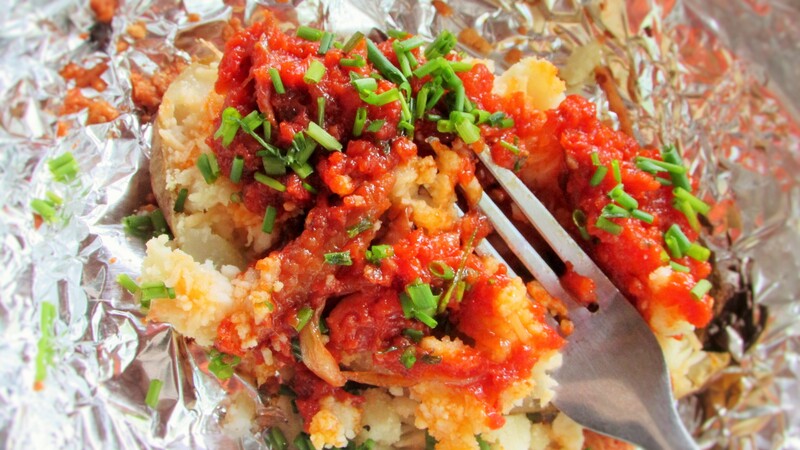 add the cray fish and fry for about a minute then add the tomato paste and fry for about 10 minutes. Add the tomato mix and fry until dark and until the oil has floated to the top. Add the chicken and beef at this point along with the meat stock. Reduce the heat and let the stew cook until the oil has once again floated to the top. Check for seasonings, add the bouillon or salt(or both). cook for another 2 minutes and set aside. You could stir in some chopped basil or scent leaves if you want to. This entry was posted in Beef stew, chicken, chicken dishes, Chicken Recipes, chicken stew, chicken suya, Meat stew, Nigerian Casseroles, Nigerian sauces, Nigerian soups, Nigerian Stew, Nigerian stews, Nigerian Suya, Okra soup, Sauces, Side dishes, Sides, Soups, stew, Uncategorized, Vegetable soup and tagged beef stew recipe, Chicken stew recipe, Nigerian stew recipe, Smoked chicken stew recipe, smoked meat stew recipe. Hi Ogechi. You can check the African shops or have a butcher or a Bbq place smoke one for you. Tell them you do not need it too soft. You could even do it on your bbq grill or smoker by yourself. season with salt and oil. I hope this helps. 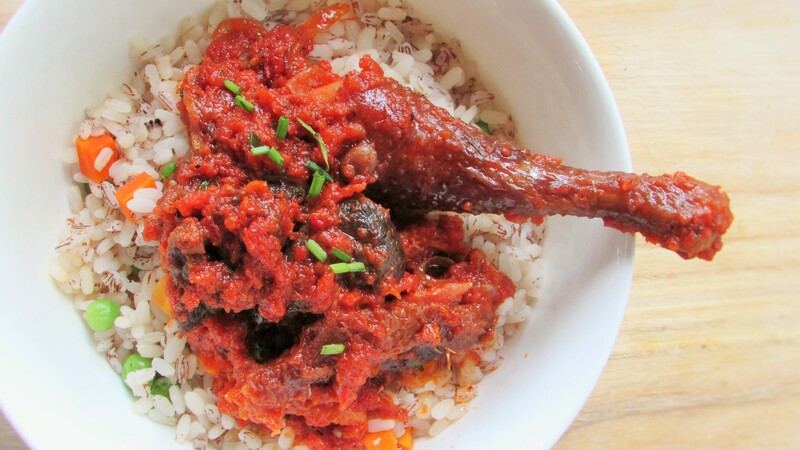 Pls how did you prepare the smoked chicken it self? Where can one buy the smoked chicken?